It’s time for another post in my “Try a Chapter” Challenge—where I’ll choose ONE book for next month’s TBR! The five books I choose will be inspired by the following month’s “theme”—for example, since June is Pride Month, the 5 books I sample for June’s TBR will be own-voice queer books. You get the idea! This was interesting enough that I feel confident I’ll pick it up soon, but I can’t say it sucked me in or anything. I hear a lot of people say they really love this series, though, so it’s definitely not being taken off of my TBR! I’ve heard fairly mixed reviews, so I wasn’t sure what to expect from this one and was actually somewhat regretting accepting the request to review it, but wow, that first chapter was hilarious and SO fun. It’s been so long since I read The Seafarer’s Kiss that I’ve been putting off this review copy because I feared I’d need to reread the first book beforehand, but I don’t feel lost at all! This was immediately really lovely and intriguing, and feels like a quick read. 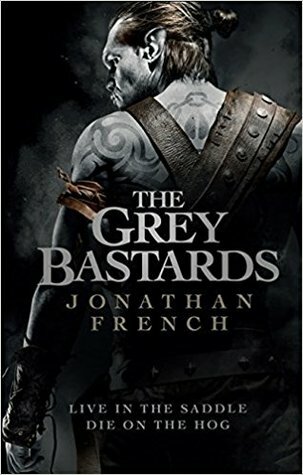 While I didn’t LOVE the writing style (it feels a little under-edited/unrefined), the plot definitely caught me quickly, and I love the way the goblins are described. Even if this one doesn’t win, I plan to read it ASAP! I just was immediately sucked into this one, and honestly would continue it right now if I didn’t already have so many current reads. 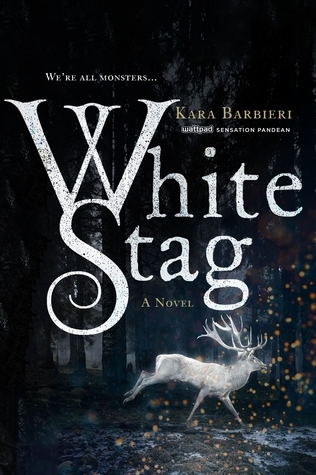 I also would love to make time for The Grey Bastards and White Stag in February if I can! Funnily enough, I mentioned to someone yesterday about having books on my TBR that I’m itching to read but for some reason never get around to reading them. Maybe I’m subconsciously worried I’ll be disappointed?! Fab post, looking forward to seeing what you think of Rhapsodic. Love this! Can’t believe I didn’t think of this before, I see the videos all the time! 🙂 Love the theme idea, great post. 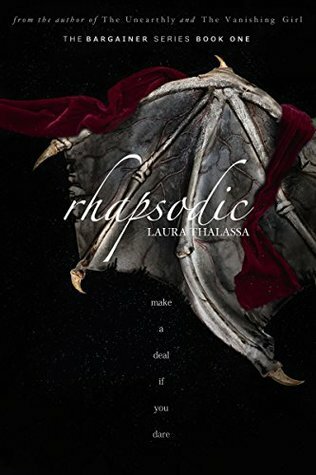 Only two of thoses was novels I had heard of on other blogs, but oh wow Rhapsodic’s cover looks so nice and interresting !! Maybe I shall give this a go after im done reading the blood prince! Rhapsodic really does look super cool! 😀 I hope you do!! This is definitely something I have been considering g trying out but I haven’t done it yet. 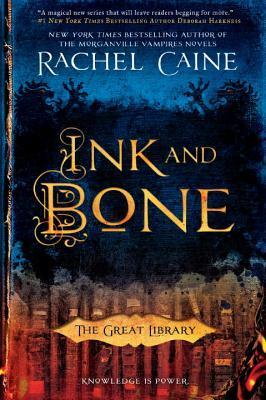 I really loved Ink and Bone when I first read it, but when I got around to the third book I’d waited too long and I’d completely forgotten all of the characters/plotlines. I’m still sad about it and I kinda want to (re-)read the whole series when every book is published. I hope you’ll get to it soon, because I can’t wait to hear your thoughts! 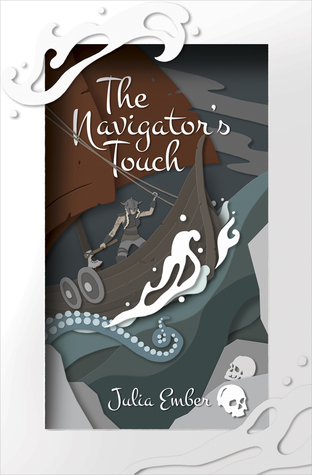 And I’ve also been putting off The Navigator’s Touch, so I’m very happy to see that it was intruiging from the start. That definitely motivated me to pick it up soon! I don’t know if I could stop after a chapter and come back to it later. Books I put down once started tend to stay put down for months. But I kind of like the idea of trying a book before investing so I may do something similar! I love your ideas/content. I’m really interested in doing this! I might give it a go next week and post about it if that’s ok with you?